Been considering making Kombucha?? My friend Heather found a nice deal on Amazon for a live culture organic Kombucha scoby, for just $7.95! It also comes with 1/4 cup of starter tea to get started on it. 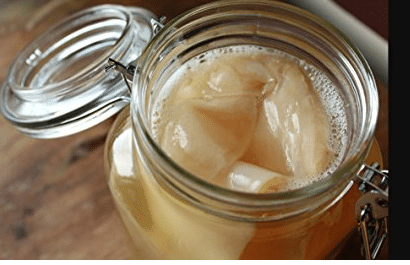 Drinking Kombucha is a great way to add in probiotics, but it can be pricey buying it in store. Making your own is a huge way to save, in place of store bought Kombucha or probiotics. This product ships free with Amazon Prime or with a $25 order for non-Prime members. Price is accurate at time of posting and could change at any time. We are a participant in the Amazon Services LLC Associates Program, an affiliate advertising program designed to provide a means for us to earn fees by linking to Amazon.com and affiliated sites. Interested in Amazon Prime? You can sign up for a FREE 30-day trial here. You can pay month by month at $12.99 a month or $99 a year.